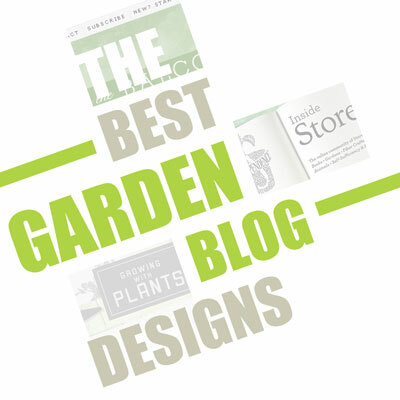 Learn from some of the better designed garden blogs, and borrow an idea or two! - Okay, well, they're also pretty. Isn't this site gorgeous? The color scheme is pleasing, the fonts are whimsical, and the masthead and background are embellished with a light and airy design. The content is also well branded, never veering of the topic of balcony gardening, so readers always know that the posts will be relevant. My favorite feature of the interface is a tab that says "New? Start Here!" When you click on it you'll first be encouraged to subscribe, and then be given a list of posts that sum up what the site is about, engaging the reader further and reassuring her that subscribing is a good idea. Even though its designed on Wordpress and most of us use Blogger, you can virtually recreate a glamorous blog like this one by simply customizing your Blogger theme. I'll start with the most simple blogs made with Blogger, and build up to the most customized one. Evelyn is a graphic designer and illustrator, yet she goes with the most simplistic and minimal route in designing her blog, and the effect is very elegant. 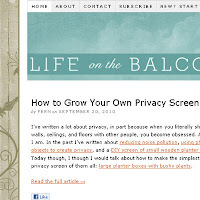 The first thing you should do for a clean and well designed blog is use the "Minima" theme on Blogger like Evelyn did. 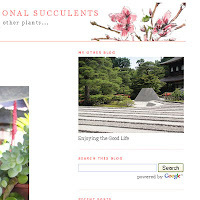 All she has done to create a beautiful and themed look is design a wonderful masthead up top, and use the same colors throughout her blog in the font. The background is pure white, and by making the background color of the masthead white as well, the layout retains an airy feel and leads your eye downward to the posts. She also prioritizes her sidebar content and keeps it simple. 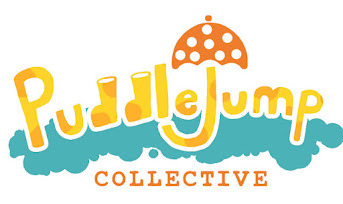 She gave a link to her illustration blog top priority (Since she is, after all, an excellent illustrator), and included a search box so users can easily navigate her site, keeping them engaged and ensuring that they return. Taking the "Minima" theme one step further, danger garden has a colored background, and the blog has a soothing neutral color scheme with highlights of chartreuse. 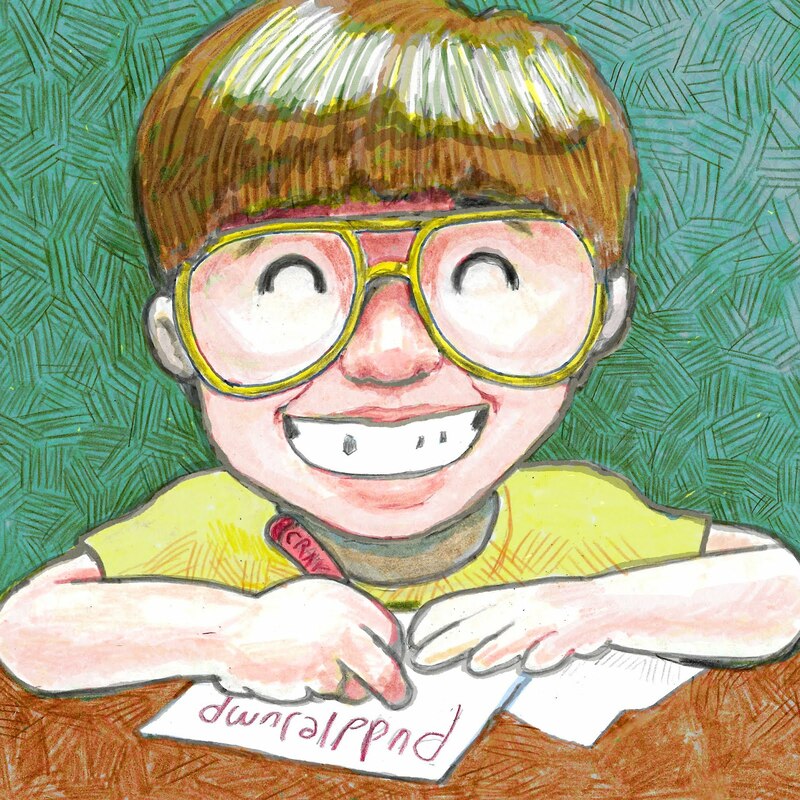 She also has an illustration in the masthead, but the element that steals the show for me is the humorous tagline stating "careful, you could poke and eye out." Include a tagline in your header that sums up what your blog is about, or captures people's attention. 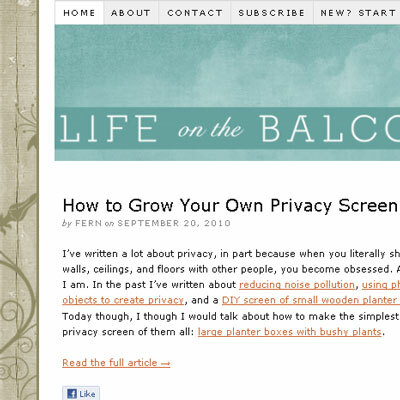 I generally veer away from subscribing to modge podge blogs, since I don't know what I'll get. Be sure to theme your posts, and stay focused. 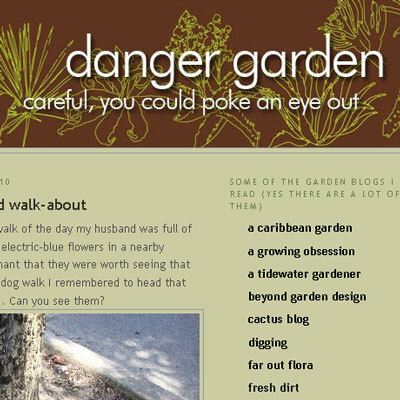 Danger Garden features spiky and architectural plants, but even when she posts about something else her sense of aesthetic and personal voice shine through. Imagine yourself as a curator, and your blog as a museum. 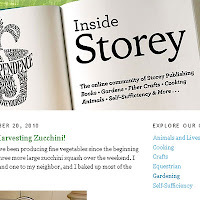 Storey is the publisher of many of your favorite gardening books, as well as books on cooking and self sufficiency, so consistent branding is of the utmost importance. Blogger's "Minima" theme to the rescue, once again! 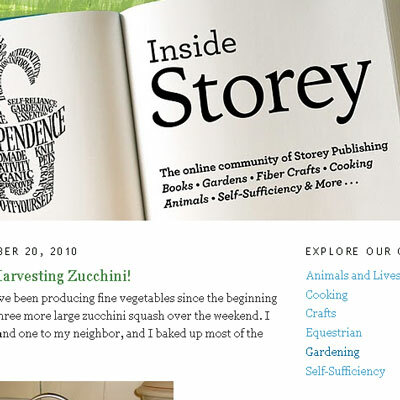 The masthead really says it all, with a clever book metaphor and a summary of what you'll find in the blog's "pages" in the tagline. The color scheme of the publisher's identity is reinforced in the text, and the simple menu at the top of the sidebar uses tags to group their categories. Matt Mattus is a creative director and the author of the excellent marketing book, "Beyond Trend". 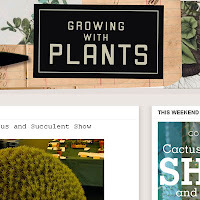 He's pulled out all the stops and made the absolute most of the Blogger platform not only by designing a great identity and masthead, but by customizing the css and designing supporting elements like ads for plant shows and societies. 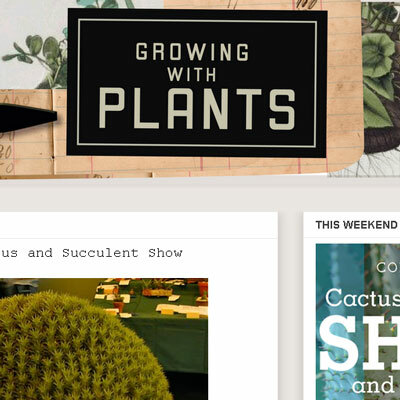 The overall look and feel is that of a botanist's notebook, and it really capture's the excitement of gardening with unusual plants without the use of words. I have also customized the css of my blog bit by bit and if that's the route you want to take, there are plenty of tutorials online to show you how to customize your Blogger blog. A great starting point is Blogger Buster, where you'll find a variety of hacks you didn't even know were possible! 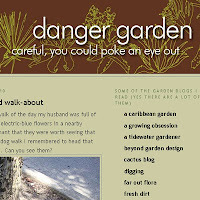 Gardenbloggers.com is another great site about blog design, but specifically for the gardening type! Be sure to leave any questions in the comments and I'll be sure to help! 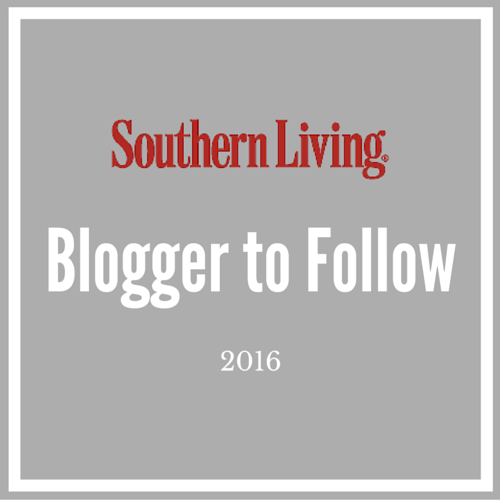 Stay tuned for more great blog designs, and let me know if you find any other ones worthy of mention. Great selection of blogs with nice templates. I think the best ones are the ones that achieve the design using CSS and graphics sparingly. Wow Steve I may have to look at my blog and do some redoing. LOL These are great blogs! Interesting post! I appreciate that you mentioned something about my blog that I do have issues with...the background color. On some computers I love it, on others it looks like "old lady nylons." Not good. I changed it to white for about a day. I couldn't handle that either. 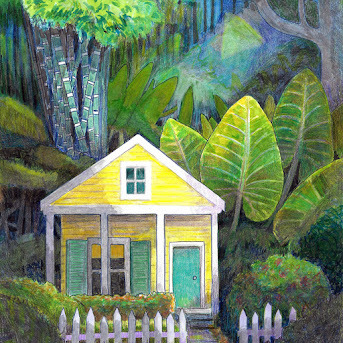 I love the yellow/green of yours, and it works wonderful for your climate/topic. It's a little to cheery for "danger." I also worried (for about the first week) about going off the spiky dangerous topic. I quickly realized if I stuck to just that topic I wouldn't be able to talk about so many other things that interest me and would burn out, I stopped worrying. I really like what you said about being a museum curator! Well put! Ok now I am off to take a closer look at a couple of these that you feature that I didn't know about! Very interesting blog, Steve! Great insight on how others might view a blog. Now I'll have to digest this information and consider my own. Thanks for the info, and yes I do enjoy reading blogs that are to the point and you know what they are about, rather than chopping and changing all the time. I must say that the ones that are full of gadgets and "fluff" really have to have some good information in them to keep me coming back! 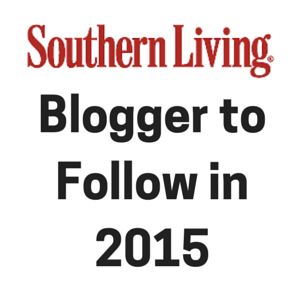 I find your blog very easy to navigate and always look forward to reading your posts!